I’m cheating here. For this week’s blog entry I’m sharing one written about me. Thanks to Megan Smith for sharing my story with members of the Association for Library Service to Children. If you are anything like me, you struggle to balance all of the requirements of the various roles you play. I’m a list person. I think I have to be as a result of my dual Gemini personality. I’m fun, flighty and creative on one hand, and all business on the other. Throw in a little ADD and the lists make perfect sense. Walk Luna. She’s my seven month old lab. I’ve learned that without a walk in the morning, nothing else on the list gets done. Mow grass. Doing so is actually creative time for me. I make different patterns when I mow and come up with story ideas. This blog resulted from today’s yard work. Call Yellow Springs Historical Society/Library/Chamber of Commerce. These are all in anticipation of my research trip to this great little town for my next book. Call about the community garden. Check. I’m in and look forward to helping! Respond emails. Isn’t it amazing how time consuming this can be? Set up more school visits. I’m so looking forward to sharing my latest book, a middle-grade biography of Millie Benson with students. Update website. I tried. I failed. Another email to send. Work on YA manuscript. This line item has been way too low on the list. Word Count is at 20,000. I need 40K more. I’ll get there. I’m so blessed that I’m finally achieving something I’ve wanted to do for a long time: write full-time. As you can see, writing children’s books especially nonfiction, requires more than just writing. It involves research and being resourceful. It involves doing whatever you can as an author to promote the book, from setting up school and library visits, to book signings. Yet, without writing every day, none of the rest would follow. With that, I’m back to my manuscript. 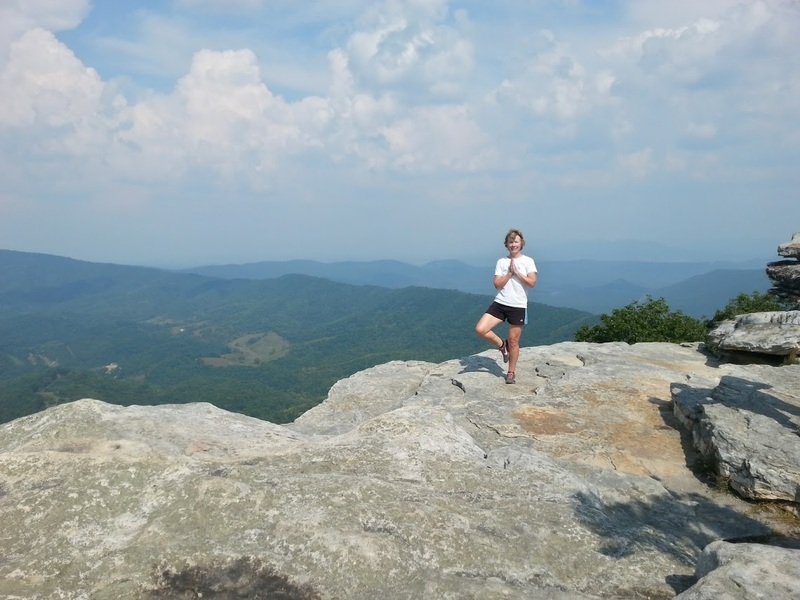 I hope you find balance in all you do! 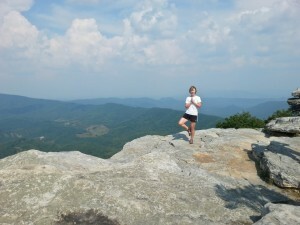 Picture taken at Mcaffee’s Knob, Roanoke, VA, after a 4.4 mile hike!